The future of Norwich’s only city-centre Christian bookshop is uncertain after it closed its doors yesterday (February 5) and all its staff were sacked. The SPCK Resource Centre’s five staff were all fired via an e-mail from owners Mark and Phil Brewer from the Saint Stephen the Great Charitable Trust, which bought the 25-strong SPCK bookshop business in October 2006. Norwich manager Jim Channell, who has lost his job, said: “All the staff were fired today by e-mail for not signing new employment contracts which were offered to them. It is very sad and a tremendous waste. I can’t see that it has a future with the present owners. The rejected new staff employment contracts included a ban on any pay for overtime and that no events could be held at the Resource Centre which were not in Eastern Orthodox-style. 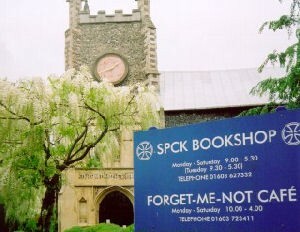 The Forget-Me-Not Café, which is also at the SPCK Centre, at St Michael at Plea, Redwell Street, is still open and a notice pinned to the door states that the bookshop will reopen on February 18. The Norwich move echoes other recent closures around the country including sackings and closures in Lincoln, Sheffield, Canterbury and Cambridge. SSG chairman Mark Brewer told The Bookseller that the company has had to carry out “cost cutting” in order to safeguard the rest of the chain. “As we move into the second month of 2008, some of the SSG bookshops have experienced the same reduced footfall and sales as most every other bookseller and high street retailer,” he said. In Norwich, great concern about the bookshop’s future has been expressed by Norwich church leaders. Rev Nicholas Vesey, vice chairman of Transforming Norwich, said: “I am extremely sad and concerned to hear of the closure. I am sad for the staff as they have provided great support for the area’s Christian community for a number of years. and then some helpful person sounding all holy said: "Forget it and move on. You can't move into the future if you concentrate on the past. When one door closes another opens. 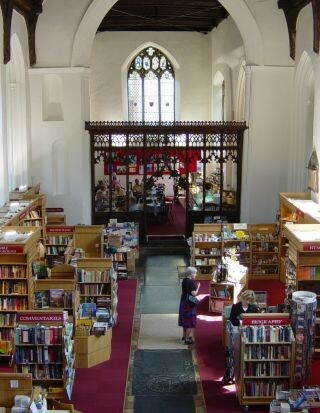 The Lord has a much better plan for a Norwich bookshop and is working on that right now,rejoice, wait and see. Something better is coming soon." Easy to say when you are the person reading the article not the guy who has just been made unemployed.